This is a FREE service provided for the convenience of Filipinos. There is no charge for making an appointment with the DFA Main office (at Diosdado Macapagal Blvd. Aseana, Pasay) or its sattelite offices. DFA Consular offices will be opening soon in other malls. DFA offices in malls are usually open to the public from 10 a.m. to 8 p.m., Mondays to Saturdays for both processing and releasing and from 10 a.m. to 2 p.m. on Sundays for releasing only. Download, print and fill-out the passport application forms completely with the appointment reference numbers. Please note that Applicants will not be admitted at the entrance gate without valid appointment and application forms. Photocopy all the necessary documents before proceeding to DFA Aseana. Applicants will not be processed if they do not have complete set of photocopies of their documents. • Original Birth Certificate on National Statistics Office (NSO) security paper. 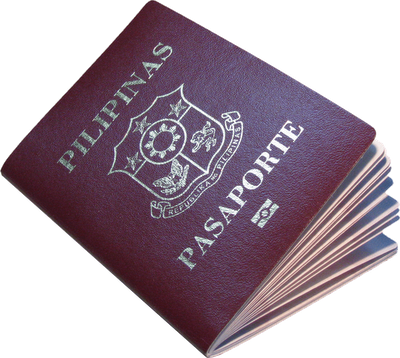 • For those whose births were registered, Please refer to requirements for first time passport applicants. • Original and photocopy of Voter’s Affidavit or other supporting documents indicating date and place of birth and citizenship, identity and tribal affiliation. Warning: Submission of false information and falsified documents are punishable under Philippine Laws. It is up to the discretion of the DFA to accept, reject or request for additional supporting documents or personal appearance from the applicant. Note: An additional fee of Php 200.00 will be charged for processing of Lost Passports if it is still valid. Please be advised that appointments from 5:00PM onwards will be considered rush processing.